Christian education is at the very heart of the church. In the educational process, the Spirit of God encounters people of all ages so that they are nurtured in faith, grow in knowledge and experience, and are inspired and empowered to live as disciples of Jesus Christ. This call to discipleship compels us to share our faith and serve others in the home, the community, and in God’s world. To learn more about our Christian Education programs, read information below or contact us. Sunday School for children helps to provide a solid start for a lifetime of discipleship and close relationship with Christ. All classes include Bible study, and depending on the age level, may also include snacks, crafts, discussion with peers, and application of scripture to real world situations. 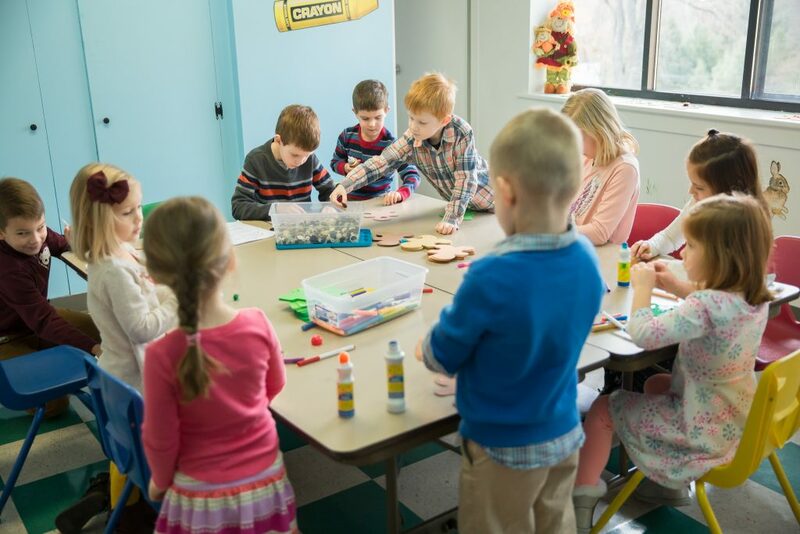 Children in Preschool through Grade 5 gather for Children’s Worship in the sanctuary at 9:15 a.m. and go to separate classrooms for Sunday School at 9:30 a.m. Junior High students in grades 6, 7 and 8 meet for Catechism / Confirmation class in the Conference Room. High School students meet downstairs in the Social Hall. Sunday School classes are held from the Sunday after Labor Day through the third Sunday in May. Learn more about Sunday School. Each Sunday during the school year, we have a Children’s Worship service for children in Preschool through Grade 5 at 9:15 a.m. in the sanctuary. During Children’s Worship, we discuss a Bible story, practice Children’s Choir songs, and say a prayer. Children are dismissed to their separate Sunday School classrooms at 9:30 a.m. Additionally, we have a Youth Sunday the third Sunday of each month where children participate as service assistants (ushers and lectors). Junior High students in grades 6, 7 and 8 meet Sunday morning from 9:15 a.m. to 10:15 a.m., September through May, for Catechism / Confirmation Class. Please contact the church office if you’d like your child to attend Confirmation Classes. Prepares parents to provide a good example and assistance for children who are just beginning their faith journeys. Enriches our faith lives along with attending worship services and receiving the sacraments. Provides a great opportunity for fellowship within the Lutheran community and guidance for congregational lay leadership. Learn more about GSLC of Fox Chapel’s three bible study opportunities for adults. 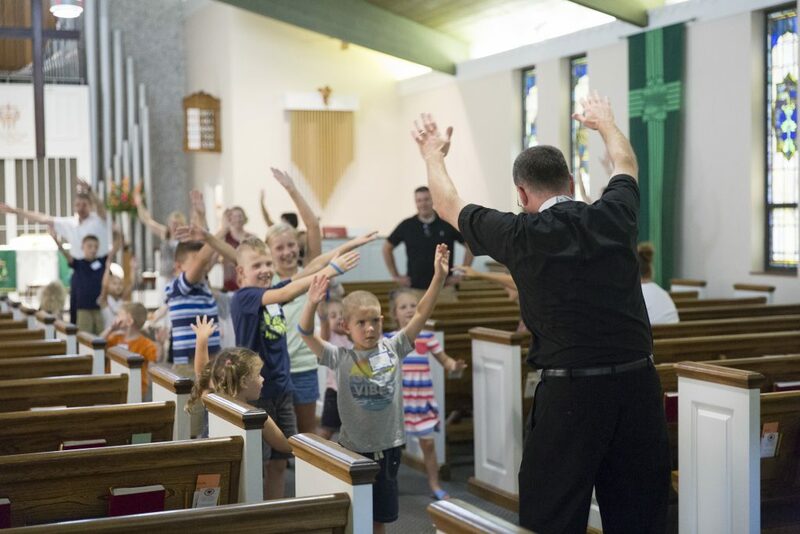 Each summer, Good Shepherd Lutheran Church hosts Vacation Bible School [VBS]. We choose a special theme and activities include: songs, Bible study, crafts, games and snacks. All ages are welcome, and teens and parents can get involved as full- or part-time volunteers. Learn more about Vacation Bible School.